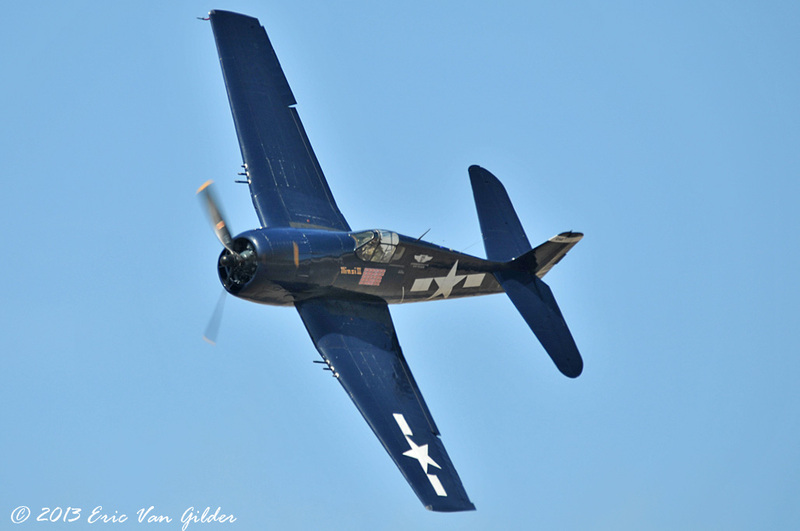 The F6F Hellcat was designed as a replacement for the F4F Wildcat. 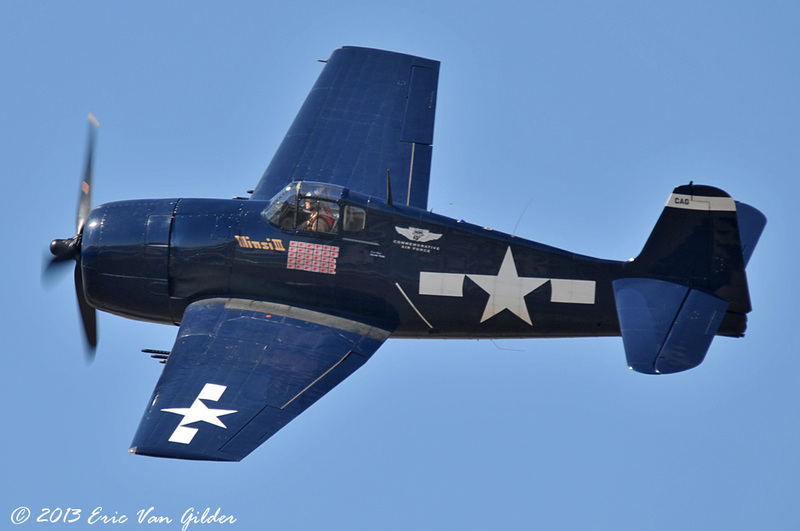 Using lessons learned from previous carrier-based fighters, the Hellcat was developed quickly. 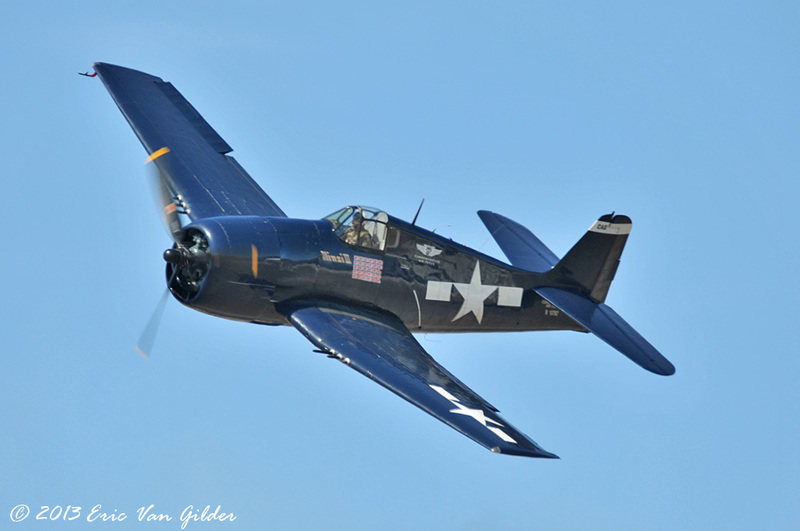 More armor plating was added to the airplane as well as a bigger ammunition load than the Wildcat. 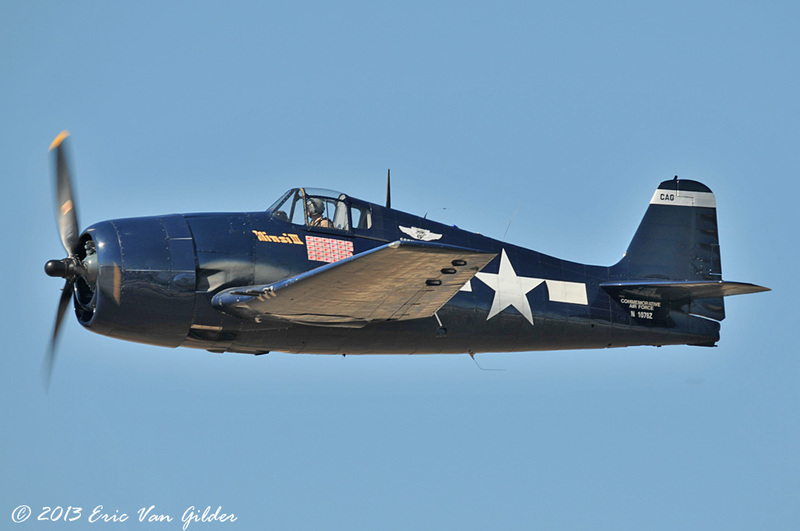 The Hellcat carried 6 .50 caliber machine guns. 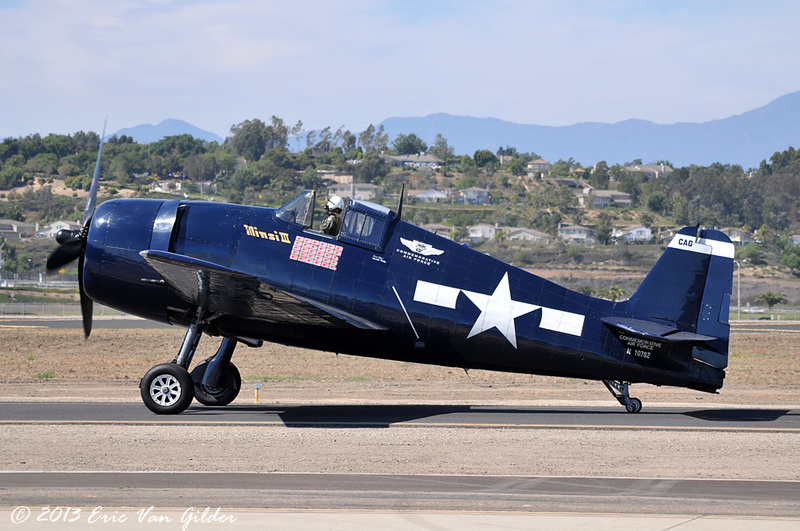 This F6F is operated by the Southern California Wing of the Commemorative Air Force (CAF). 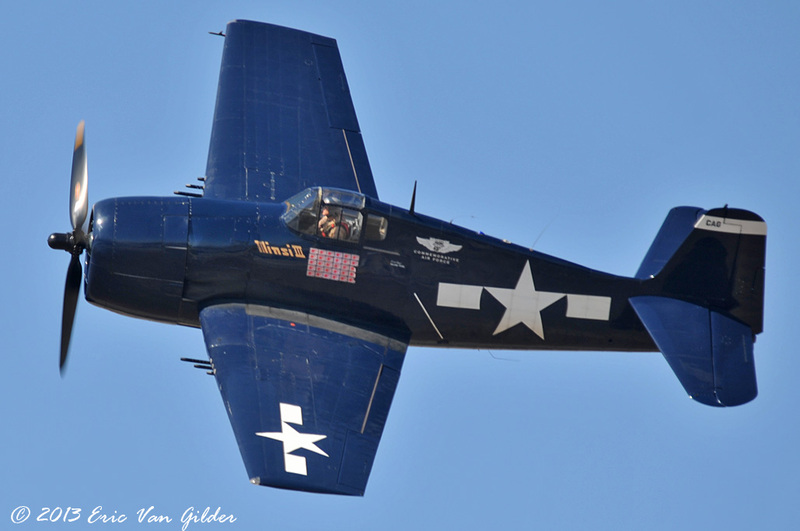 It is painted in the colors of Commander David McCampbell, the leading US Navy ace of WWII, with 34 aerial victories.